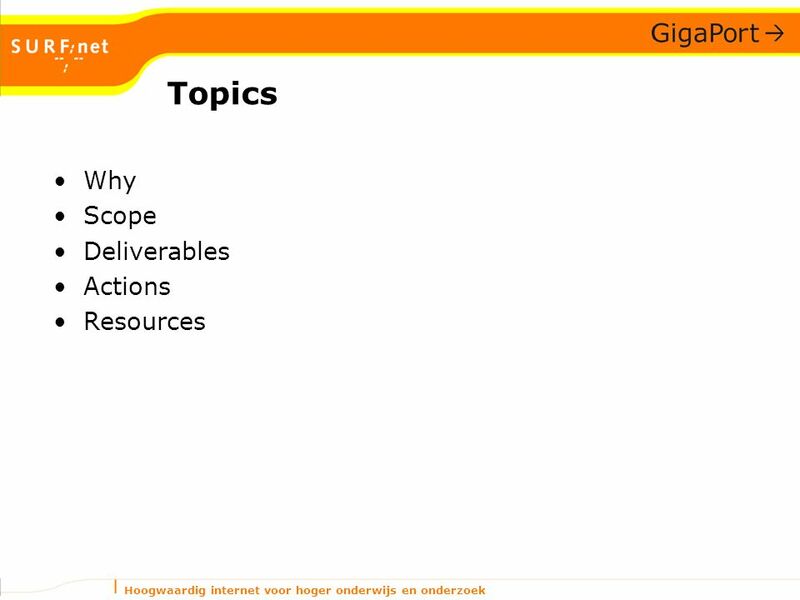 3 Hoogwaardig internet voor hoger onderwijs en onderzoek Why? 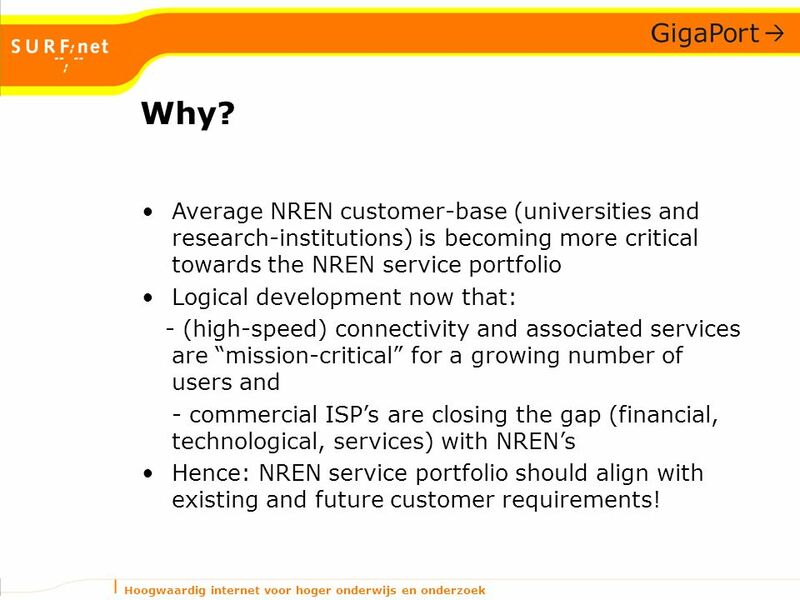 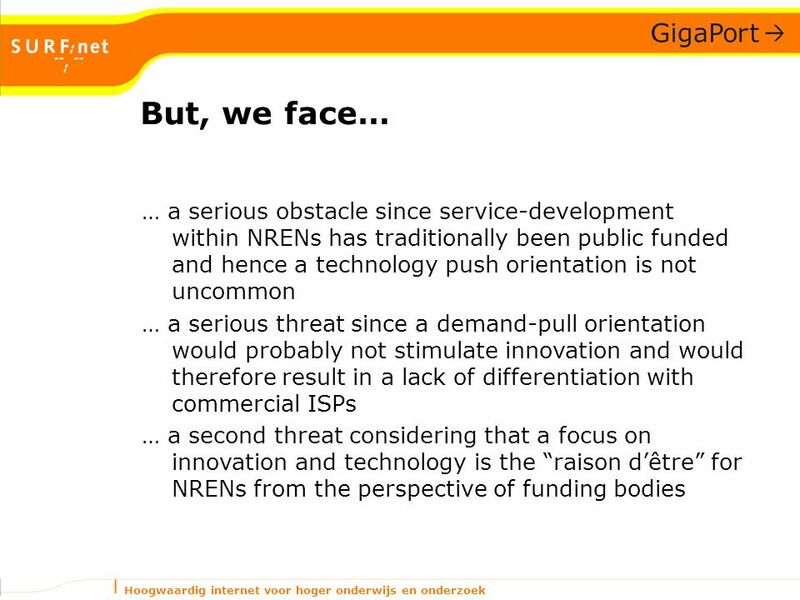 Average NREN customer-base (universities and research-institutions) is becoming more critical towards the NREN service portfolio Logical development now that: - (high-speed) connectivity and associated services are “mission-critical” for a growing number of users and - commercial ISP’s are closing the gap (financial, technological, services) with NREN’s Hence: NREN service portfolio should align with existing and future customer requirements! 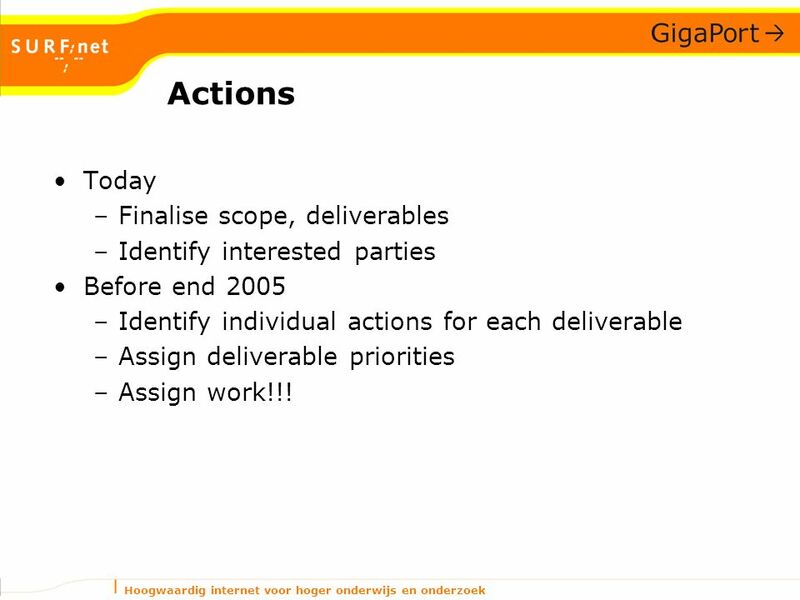 8 Hoogwaardig internet voor hoger onderwijs en onderzoek Actions Today –Finalise scope, deliverables –Identify interested parties Before end 2005 –Identify individual actions for each deliverable –Assign deliverable priorities –Assign work!!! 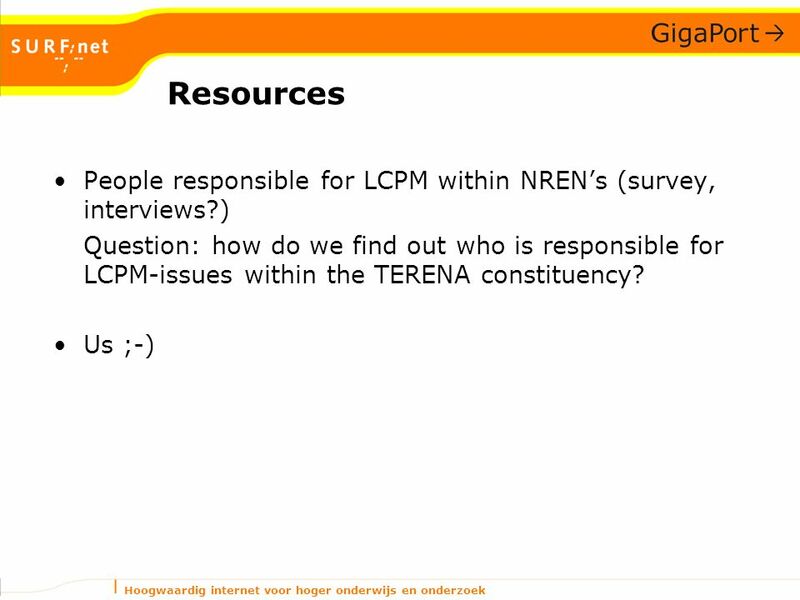 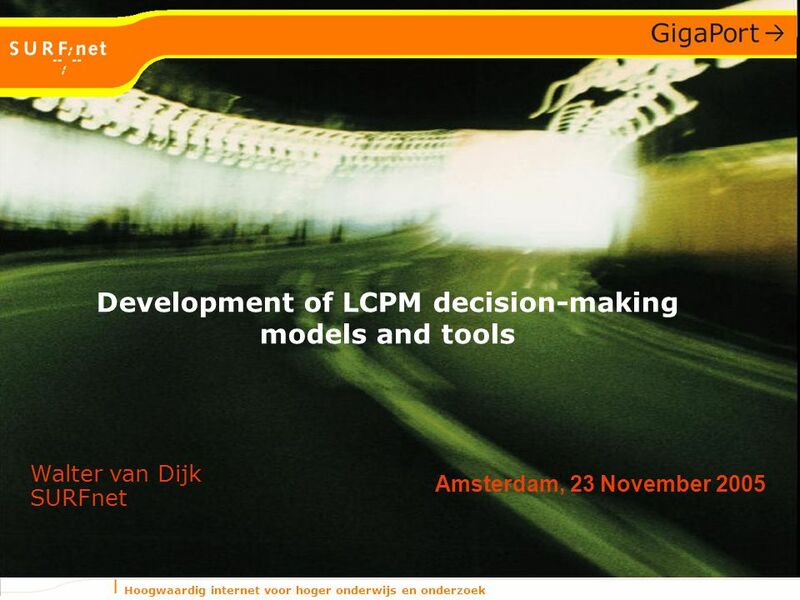 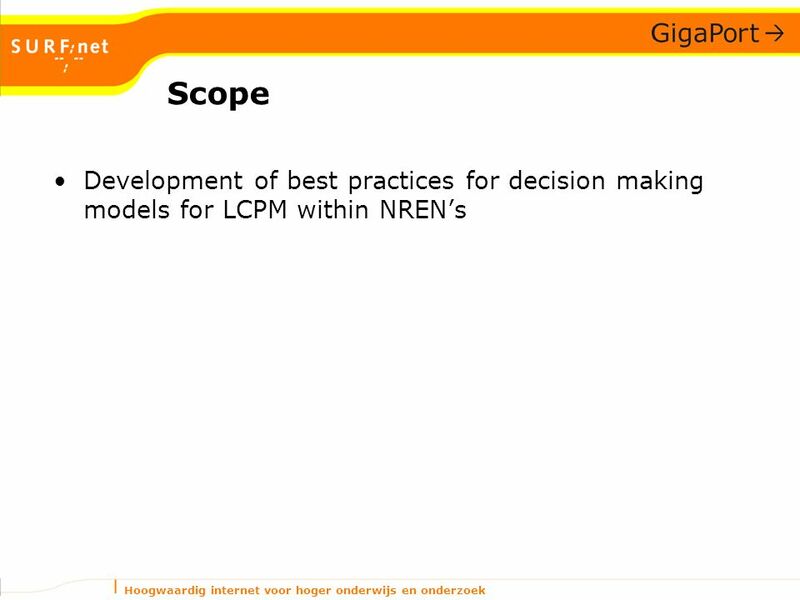 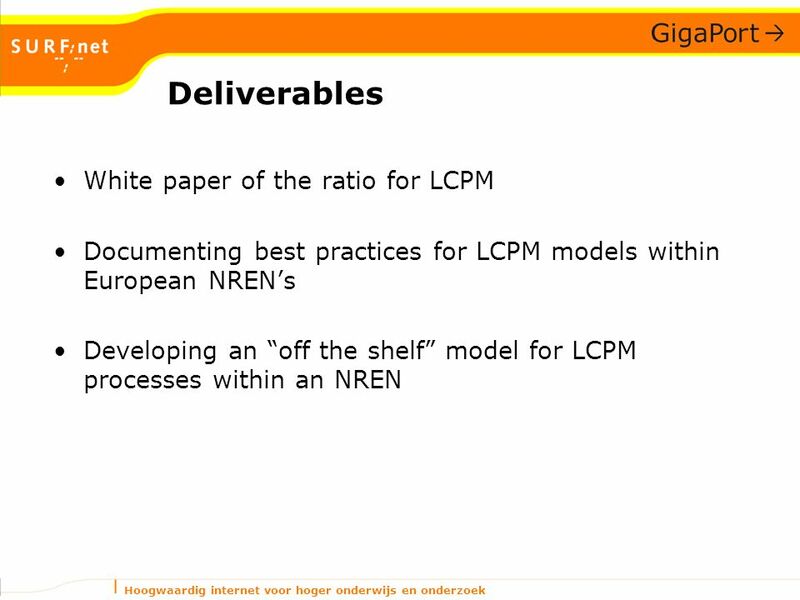 Download ppt "Hoogwaardig internet voor hoger onderwijs en onderzoek Amsterdam, 23 November 2005 Walter van Dijk SURFnet Development of LCPM decision-making models and." 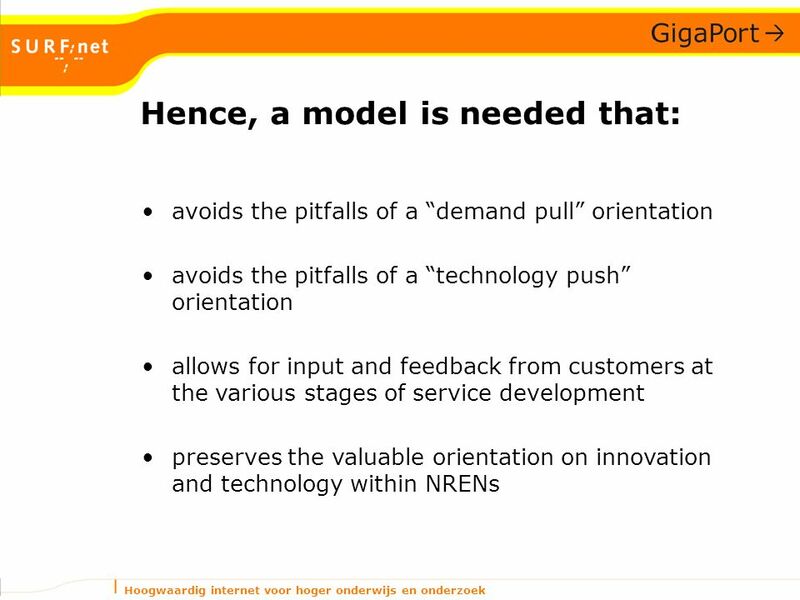 SURFconext, Showcasing a New Collaboration Paradigm Paul van Dijk Product Manager SURFnet.